The LRWP has posted previously about the Transco Northeast Supply Enhancement (Transco NESE) Project Transcontinental Pipeline proposal that would effect much of the Lower Raritan Watershed. The Transco NESE Project would travel through the Lower Raritan Watershed towns of Franklin Township, South Brunswick, Sayreville and Old Bridge and under Raritan Bay. NESE involves the construction of 2 pipelines and a compressor station. These pipelines are intended to transport 400,000 dekatherms per day of fracked natural gas from Pennsylvania to New York City. None of this natural gas would be used to the benefit of New Jersey residents. The Federal Energy Regulatory Commission (FERC) is now accepting public comment at open house sessions and in writing. The LRWP is concerned that the NESE pipeline will further fragment the already significantly fragmented natural habitats of the Lower Raritan Watershed. We are concerned about the effects of potential pipeline leaks or ruptures. And we are concerned that installing yet another way to transport fossil fuels will push off action on moving toward renewables, which we desperately need to consider in this age of peak fossils. Last week the Transcontinental Gas Pipe Line Company LLC released the Draft Environmental Assessment and Environmental Impact Statements. They are available here. **the LRWP is co-hosting a pre-hearing conversation from 4-6pm at this location. We encourage you to consider project impacts on your community and our watershed and Raritan Bay habitat, and to share your concerns either via letter or at one of the public hearings. SCRAP-NESE provides updates on opposition to Transco’s Northeast Supply Enhancement proposals for gas pipelines through the Lower Raritan Watershed and under Raritan Bay. Arneys Mount in Springfield, Burlington County. ARNEYS MOUNT: Arneys Mount stands roughly 245 feet above sea level, or about 175 feet above the surrounding lowland, in Springfield, Burlington County. It is part of the cuesta geologic formation — hills that have survived erosion and now separate New Jersey’s Outer Coastal Plain and Inner Coastal Plain. Take a map a draw a line from Sandy Hook at the Atlantic Ocean in Monmouth County to the Burlington County area of Mount Holly-Mount Laurel. That line is essentially the line of the cuesta. On a detailed map of that line, you will see names representing the hill system — Highlands, Mount Mitchell, Crawford Hill, Telegraph Hill, Beacon Hill, Knob Hill, Locust Hill, Quail Hill, Pine Hill, Backbone Hill, Disbrow Hill, Crematory Hill, Stone Hill, Arneys Mount, Mount Holly, and Mount Laurel. The circa 1775 Arneys Mount Friends Meeting House. VOICES FROM AFIELD NO. 1, THE CUESTA: Cousin Jerry Edvy lives on high ground just outside of Perrineville in Millstone, Monmouth County. When it snowed during the Tuesday, March 13, nor’easter, he reported “at least 5 inches.” His house is on the cuesta, or about 280 feet above sea level. When Jerry drove off the cuesta, he saw hardly any snow. “(Route) 33 was clear,” said Jerry, speaking of the road about 3 miles north of his house. “We must have got hit with a band,” he said. Or maybe it was just the height of his area. My house, about 50 feet above sea level about 10 miles to the north, got only about 1 inch of snow. I recall this cuesta-lowland dichotomy several years ago during my newspaper reporting days for the Asbury Park Press as I drove in Monmouth County from the Millstone area to the Sandy Hook area — when I was on high points of the cuesta, there was a covering of snow, maybe a few inches; when I was at lower elevations, maybe just a coating. An interesting phenomena happening in only a matter of dozens of feet. 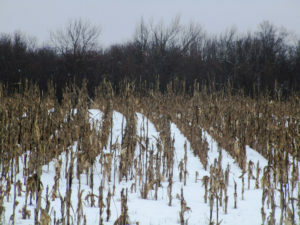 The Tuesday, March 13, nor’easter snowfall in a Monroe Township, Middlesex County, cornfield. SNOWFALL: The seasonal snowfall tally at my house in the part of Monroe between Jamesburg and Helmetta is 29.0 inches. The average seasonal snowfall in New Brunswick, about 7.5 miles away, is about 26 inches. So, based on that, we are about 3 inches more than normal at my house, with about a month’s worth of snowfall season left. 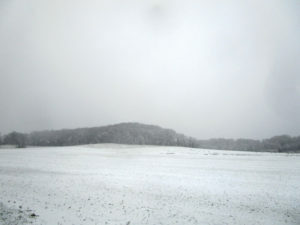 The Tuesday, March 13, nor’easter snowfall at a farm in Plainsboro, Middlesex County. FOREST FIRE SEASON: Because of the wet weather, the Pine Barrens spring wildfire season in the Jersey Midlands is running behind this year. Normally, it runs March 15 to May 15, when winds blow, humidity decreases, temperatures rise, and sun penetrates the essentially leafless forest, warming and drying the duff. But with the wetness out there, for example, the state Forest Fire Service canceled a control-burn for the upcoming week in the Jamesburg Park Conservation Area in Middlesex County. 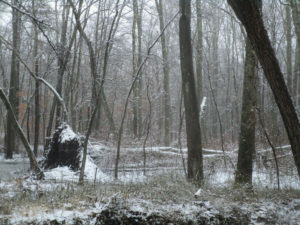 Snow on the ground in the Pine Barrens of Barnegat, Ocean County. FIRE TOWERS: The idea of a fire tower is to see smoke during daylight hours, basically to dispatch firefighters before a fire really gets going. Because once flames are seen, the fire is well underway. 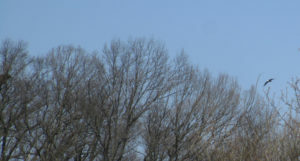 The state Forest Fire Service has eight wildfire lookout towers in the Jersey Midlands — Apple Pie Hill, Bass River, Batsto, Lebanon, and Medford, all in Burlington County; Cedar Bridge and Lakewood, both in Ocean County; and Jamesburg, Middlesex County. When the fire towers are staffed, the public is welcome to visit. Beware, though, it can be a climb of about 60 to 100 feet, depending on the tower. 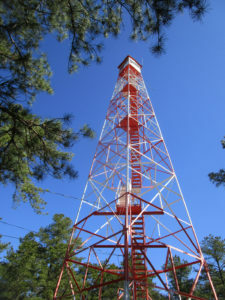 BASS RIVER STATE FOREST: Trees are to be cut around the Bass River fire-lookout tower in Bass River State Forest to improve the view for the tower observer. 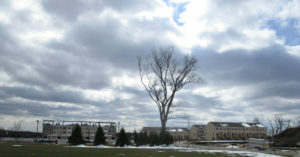 See https://thesandpaper.villagesoup.com/p/clear-cutting-proposed-for-bass-river-state-forest-fire-protection/1729679. 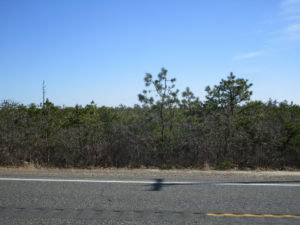 PYGMY PINES: Generally in the area of the intersection of Routes 72 and 539 in Ocean County stand hundreds of acres of Pine Barrens forest with trees perhaps only 8-feet-tall at most. This is the “Pygmy Pines” or “The Plains.” The theory is the stunted growth in this area is caused by repeated fires. 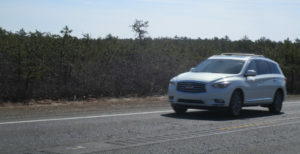 A sport utility vehicle drives on Route 539 through the Pygmy Pines, or Plains, in the Pine Barrens outside of Warren Grove, Ocean County. The Pygmy Pines, or Plains, on Route 539 in the Pine Barrens near Warren Grove, Ocean County. WITCH’S BROOM: If you regularly walk the Pine Barrens, you are likely to have seen a “witch’s broom,” a thick growth of needles on a pitch pine, “Pinus rigida.” While it may look haunting, it is simply caused by disease, defect, infestation, or environmental stress. 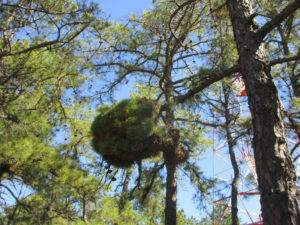 A “witch’s broom” growth on a pitch pine, “Pinus rigida,” at the Cedar Bridge fire-lookout tower in Barnegat, Ocean County. PAINTED ROCK IN THE PINE BARRENS: Going back years, a rock along Route 539, on the section between Routes 70 and 72 in Lacey, Ocean County, had been painted in different ways according to the calendar — a Halloween jack-o-lantern, a turkey for Thanksgiving, and so on. But the rock, apparently on its way by truck to the Jersey Shore for erosion control when it somehow wound up along the road, took on an American flag, patriotic theme after 9-11 — the 2001, September 11, Tuesday, terrorist attack on American soil. No matter the artwork, the rock remains a landmark in the Pine Barrens. 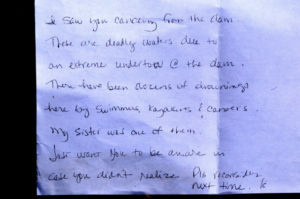 For more information on the rock, see http://www.jamesrahn.com/pages/other/personal/rock.htm. 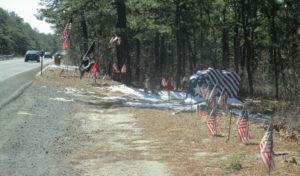 Since around 9-11 — the terrorist attack on American soil on 2001, September 11, Tuesday — the rock on Route 539 in the Pine Barrens of Lacey, Ocean, has taken on a patriotic theme. PROTECTED ‘PINELANDS’: While much of the Pine Barrens is protected by state “Pinelands” regulations, it is not true the Pine Barrens are fully preserved. One, not all the Pine Barrens is regulated for environmental protection. Two, building is allowed even in the regulated area. 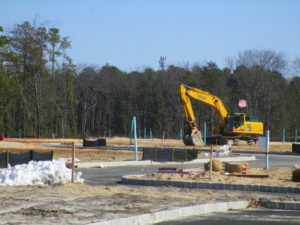 The (un)American way, development in the Pine Barrens, here in Whiting, Ocean County. 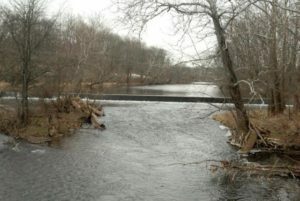 CROSSWICKS CREEK: Crosswicks Creek’s headwaters are in the area of New Egypt, Ocean County. It, then, flows into the Delaware River at Bordentown. 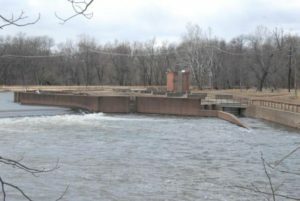 The federal Geological Survey has a gauge along Crosswicks Creek at Extonville on the boundary of Burlington and Mercer counties, https://waterdata.usgs.gov/nwis/uv/?site_no=01464500. 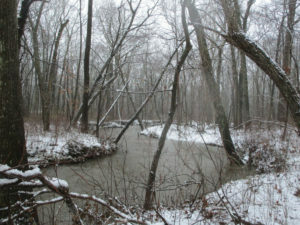 Along the waterway is Crosswicks Creek Park, part of the Monmouth County Park System, https://www.monmouthcountyparks.com/page.aspx?Id=2568. 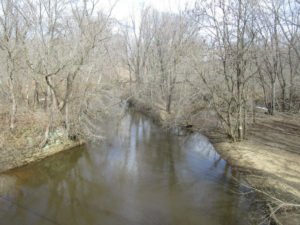 Looking upstream on Crosswicks Creek, here on the boundary of Mercer County to the left and Burlington County to the right. Here, Crosswicks Creek separates the villages of North Crosswicks in Hamilton, Mercer County, and Crosswicks in Chesterfield, Burlington County. READING THE ENVIRONMENT: When walking afield, let the land talk to you. It has a historical record. For example, the other day I was telling Eric Gehring, a naturalist for the Middlesex County Office of Parks and Recreation, about the dikes in the woods across Manalapan Brook from my house. Those dikes are a record of the area’s cranberry farming that ended around World War II. Then, during the week, on a portion of Manalapan Brook about 4 miles south of my house, I noticed wood planks sticking out of the ground. Remnants of a bridge? A dam? This remains a mystery. 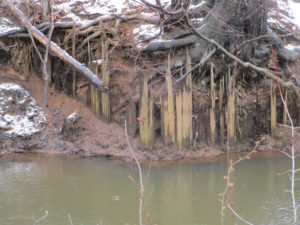 Remnants of a wooden structure on Manalapan Brook in southern Monroe, Middlesex County. 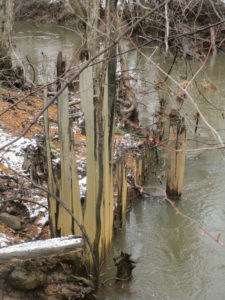 The wooden remnants on Manalapan Brook in southern Monroe, Middlesex County. VOICES FROM AFIELD NO. 2, A MINK: Frank Ulatowski, an Englishtown-Manalapan outdoorsman, reported seeing a roadkilll of mink, “Mustela vison,” on Route 33 in Monroe, Middlesex County. So, mink are around. I came across this deer, “Odocoileus virginianus,” on a utility line on the boundary of Hightstown and East Windsor in Mercer County. 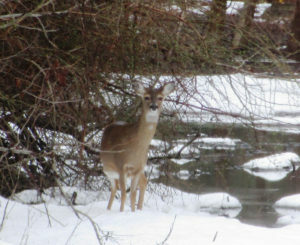 Deer live on the edge — the edge of the woods, where they seek refuge, and fields, where they browse. 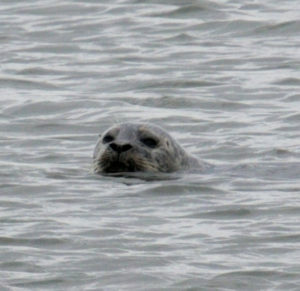 CHANJ: The state Division of Fish and Wildlife is promoting its initiative of CHANJ — Connecting Habitat Across New Jersey. CHANJ is looking to protect habitat and connect habitat through such things as land purchase, management of land, and safe wildlife passage at roadways. Roadway mitigation could include using culverts and bridges to have a safe pathway for wildlife to cross roads. 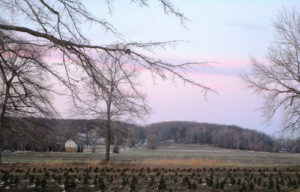 The idea is have connectivity using core areas, which could be as little as 200 acres to as big as state regions such as the Highlands of North Jersey and, locally, the Pine Barrens. 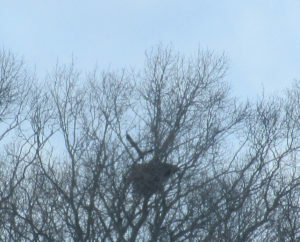 Photo 1: An adult bald eagle circles the Upper Millstone River nest, which is below the eagle. 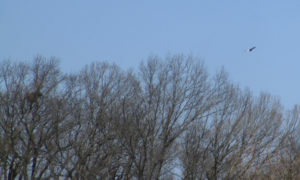 Photo 2: The eagle continues to circle, its white tail easily seen in this photograph. The nest is to the left. 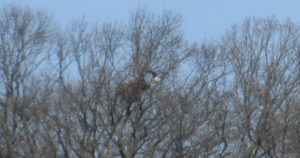 Photo 3: The eagle circles back toward the nest, which is to the left, its white head clearly seen. Photo 4: The eagle flies toward the nest, which is to the left, where its mate awaits. The mate’s head is the speck of white above the nest. Photo 5: The eagle is landing on the nest, its mate awaiting. VOICES FROM AFIELD NO. 3, UPPER MILLSTONE RIVER EAGLES: Frank Ulatowski, an outdoorsman from Englishtown-Manalapan, and his wife, Charlene, were visiting a business in the area of the Upper Millstone River nest of bald eagles, “Haliaeetus leucocephalus,” on the boundary of Mercer and Middlesex counties when a bald eagle flew by near the top of one of the single-story buildings. Frank wondered with all people around, how many noticed the eagle — as breeders in New Jersey, bald eagles are “endangered,” or under immediate peril, and, in general, “threatened,” or a species that can become “endangered” if conditions continue. DUKE FARMS EAGLE CAMERA: At Duke Farms in Hillsborough, Somerset County, bald eagles, “Haliaeetus leucocephalus,” are sitting on two eggs, the first of which is scheduled to hatch about Wednesday, March 21. There is a live-stream camera on the nest that can be seen at http://dukefarms.org/making-an-impact/eagle-cam/. In New Jersey, bald eagles are “endangered,” or under immediate peril, as breeders and, in general, “threatened,” or a species that can become “endangered” if conditions continue. 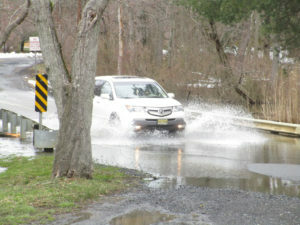 The March 13, Tuesday, nor’easter flooding on the boundary of Plainsboro and South Brunswick, Middlesex County. 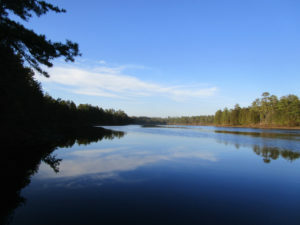 BATSTO LAKE: Batsto Lake in Wharton State Forest, Burlington County, is formed by the damming of the Batsto River. The lake is 40 acres, according to the New Jersey Fish Finder website. As for the river, it drains 67.8 square miles, according to the federal Geological Survey. Batsto River in Wharton State Forest, Burlington County. A folk art sign warning drivers of deer, “Odocoileus virginianus,” crossing a road near Bass River State Forest in Burlington County. An old masonry advertising style — formerly announcing a winery, now advertising property for sale — on Route 9 near Bass River State Forest in Burlington County. 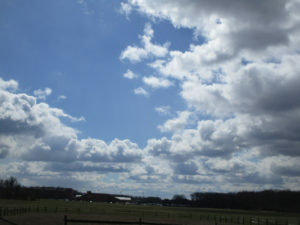 SKY VIEWS: This week’s sky views are from Hamilton, Mercer County, and Monroe, Middlesex County. 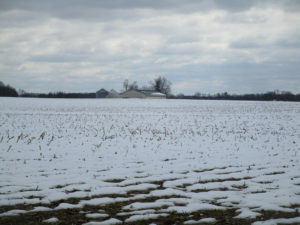 Farmland in Hamilton, Mercer County. Mounts Mills Road in Monroe, Middlesex County. Thompson Park, looking at Monroe High School, in Monroe, Middlesex County. An abandoned cabin in the woods of Monroe, Middlesex County. Sadly, after 102 issues and 29 years, the U.S. Environmental Protection Agency will cease publication of Nonpoint Source News-Notes. Lots of other good stuff here for municipalities interested in minimizing stormwater runoff. 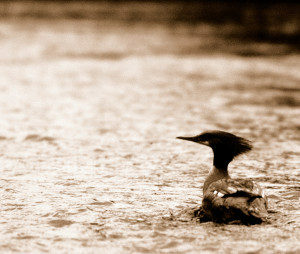 A female common merganser pauses in the fast shallow water of the South Branch where clams and crayfish abound. The witches brew in Shakespeare’s “Macbeth” revealed a magical recipe perhaps intended to capture a victim’s soul for evil consumption. Truth is the witches were brewing magic bait they intended to use the next morning on the opening of trout season. Shakespeare spun the story to keep the ancient fishing formula secret and so, “Macbeth”, was written to obscure the truth and ‘Shakespeare’ is now a company that makes fishing gear. I know it’s hard to believe, but sure enough similar formulas are used today and found in books like Art Flick’s New Streamside Guide or the old classic, AJ McLanes Fishing Encyclopedia. Artificial fly recipes used to catch trout read like the midnight brew mixed during the dark of the April moon in “Macbeth”. Pale hairs from a “red fox belly are mixed with sandy poll from a hare’s ear”; One dark ginger hackle and a quill from a Rhode Island Red rooster soaked overnight and blended with gray fox underbelly and hair of claret seal are combined with three strands of skunk tail; Peacock herl, scarlet silk, flat gold tinsel are bound with muskrat belly fur dubbing; Along with feathers from the cheek of a partridge, wing of wood duck and porcupine quills soaked in Clorox, we have a comprehensive list of standard ingredients found stocked on the shelf above any self respecting witch’s eternally boiling cauldron. The addition or deletion of the slightest ingredient is all that differentiates intended purpose. Good vs evil or brown trout vs rainbow trout, nuance makes the difference. The use of feathers to catch fish on the fly is not exclusive to fishermen casting hooks adorned with feathers. Alternatively, the feathers are still on the birds and the hooks are in the form of beaks and talons. Sharing the local fishery with licensed fishermen are common mergansers, great blue herons, king fishers, green herons, yellow crowned herons, egrets, osprey and bald eagles. It is a wonder to realize the waters of the North and South Branch are rich enough to support the variety and quantity of fish required to have most of these birds as year round residents. 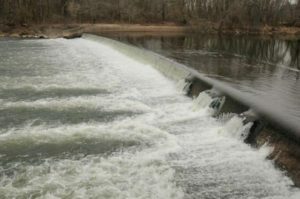 The recent dam removals on the Raritan River will ensure an even greater supply of forage fish and a brighter future for not only fish eating birds but other game fish to improve what is already a fisherman’s paradise. Driving along the river, I experienced a Kodak moment, where a female merganser surfaced with what looked like a decent sized bluegill in its serrated beak. Mergansers are the most commonly seen diving duck locally and are easily differentiated by gender as the males have a contrasting dark green head, black and white body while the females are white and gray with rusty red colored heads and a pronounced crest as if coiffed to resemble a wind blown hair style. Both sexes have a bright orange beak. Mergansers swim underwater to search for food that includes crayfish as well as the plentiful mollusks that populate our rivers. Great blue herons seem to be next most common fish eater and are often seen standing tall and still as statues as they probe shallow water for small and large fish as well as frogs and salamanders. Much shorter and less often seen is the green heron and seasonally, the pure white common egrets at summer’s end. Our smallest fisheater is the belted kingfisher. About the size of an extra large bluejay and quite similar in color, bearing a pronounced crest and white throat patch with a blue bandana across its throat. Osprey are often seen perched on dead tree limbs along the river eating fish, as bald eagles from two different nests are occasionally observed. The arrival of fishing season, this April 6th at 8am, is a reminder of the flocks of feathered fishers, not bound by seasons or licenses, which share the bounty of our local waters. Slow down on the salt! Even after today’s snow has melted and flowed from our streets, through our stormwater system, and out to Raritan Bay, our local streams and the Raritan River will carry the scars of our desire to drive quickly in wintry conditions. Too often we forget that the salt we apply to our streets, parking lots, driveways and sidewalks is a pollutant that permanently stays in our water bodies and groundwater. As we imagine warm summer days playing in the surf on the Jersey shore, basking in the sun and tasting salt spray, let’s remember that the salts we put on roadway surfaces ends up in our waterways. These salts increase the mobilization of heavy metals and other pollutants in roadside soils, causing erosion and aiding transport of pollutants into our waterways. 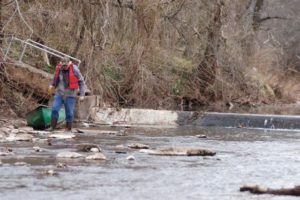 It is the case that in urbanized areas like the Lower Raritan Watershed, the first flush of meltwater is two-to-three times as salty as ocean water. We can float in the ocean because salty water is more dense than freshwater, and sinks to the bottom. Salts likewise sink to the sediments in our freshwater bodies, where they decrease oxygen levels, essentially strangling the animals that live in the benthic (bottom) layer. These bottom-dwelling animals (benthic macroinvertebrates) are some of the most sensitive species in our ecosystem. They form the base of the food chain, and when they die off, the creatures higher up on the food chain, including fish, can’t find food. Ask your municipal and county leaders what they are doing to minimize salt usage on public roads. Hire maintenance firms that have taken salt application training. Minimize your personal use by removing snow quickly and distributing only about one coffee mug of salt for a typical driveway. Be sure to clean up any leftover salt, sand, and de-icer to save and reuse as needed. 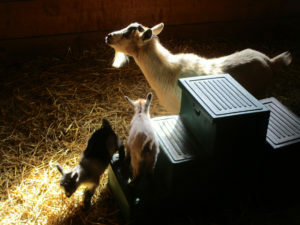 A nanny with two of her three new kids at Cranbury Brook Farm in Monroe, Middlesex County. 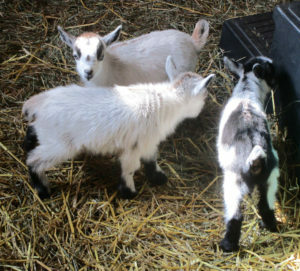 NEW KIDS IN TOWN: A few days ago, Laurie Ann Kozinsky Winter welcomed three “kids” to her Cranbury Brook Farm in Monroe — that is, three baby goats. On Sunday, March 4, Laurie Ann opened up her farm for a few hours so the community could visit the kids (all females) and their mom, the nanny. The three young ladies at Cranbury Brook Farm. A mother’s care at Cranbury Brook Farm. My maternal Onda-Poznanski family and Laurie Ann’s maternal side have know each other for a hundred or so years. Laurie Ann’s maternal grandmother, Anna Kozinsky, and I lived in the same Helmetta Road area of Monroe. Laurie Ann and I are four days apart in age — Grrrrrr, I am the older one — and attended Holy Trinity Church in Helmetta and St. Mary School in South River — both Polish-Catholic institutions for us good Polski-Catholic children. At the farm, I got to talk to some of Laurie Ann’s children and caught up with her parents, Anna and Danny Kozinsky. So, it was a reunion of families, too. What was supposed to be a short stay turned into about three hours — and about 120 photographs. 1967, January — Little Laurie Ann and little Joey, both 10-years-old, in the 5th grade at St. Mary School, South River, Middlesex County, where good Polish-Catholic kids went to school. 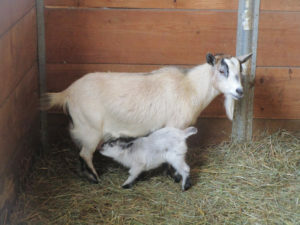 SHOUT OUT TO FARMER LAURIE ANN KOZINSKY WINTER: The GOAT (Greatest of All Time) — farm owner Laurie Ann Kozinsky Winter. Or as I call her, Princess Winter Spring Summer Fall. (Baby-boomers would understand the Princess moniker — and notice the mix-up of words.) A shout-out to Laurie Ann — A loving wife who lost her husband, Greg, over the summer after a long battle with cancer; she is very dedicated to her elderly parents; and she is a mother and grandmother. A Jersey Girl! 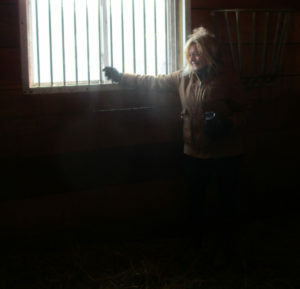 Laurie Ann Kozinsky Winter, owner of Cranbury Brook Farm in Monroe, Middlesex County. Burlington County: 3.3 inches at Pemberton to 9.5 inches at Moorestown and Cinnaminson. Hunterdon County: 6.0 in East Amwell to 15.5 in the Stockton area. Mercer County: 6.1 in the Trenton-Ewing area to 11.5 at Hamilton. Monmouth County: 1.3 at Keyport to 7.6 in the Upper Freehold area. Ocean County: 0.4 at Lacey to 3.2 in the Jackson area. Somerset County: 7.1 at Somerville to 22.0 at Green Brook. Bucks County, Pennsylvania: 6.5 in the Oakford area to 11.1 in Langhorne. SNOWFALL: With the Wednesday, March 7, nor’easter, where I live — in the Helmetta-Monroe-Jamesburg area of Middlesex county — has surpassed the seasonal snowfall average. 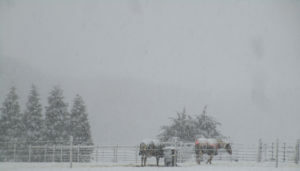 The nor’reaster dropped 6 inches, bringing the seasonal total to 28 inches. Normal would be about 26 inches, based in New Brunswick about 7.5 miles away. And we still have about 4 weeks left in the snowfall season. 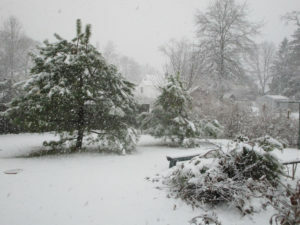 A March 7 nor’easter scene in my backyard in Monroe, Middlesex County. 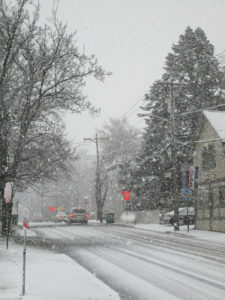 The snow begins in Hightstown, Mercer County. 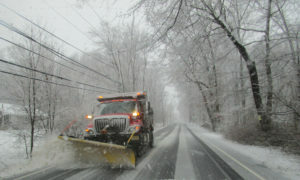 A Monmouth County Department of Public Works And Engineering plow on Route 571 in the part of Millstone, Monmouth County, between Roosevelt and ETRA. Horses in Roosevelt, Monmouth County. 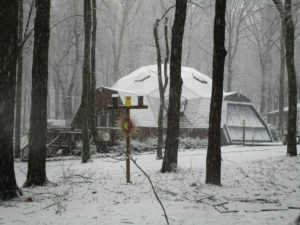 One of the famed geodisic dome houses in Roosevelt, Monmouth County. Disbrow Hill, or “Crematory Hill,” in Millstone, Monmouth County. 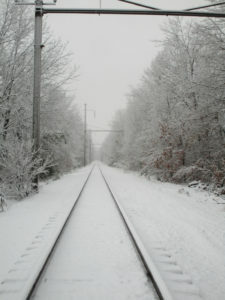 ConRail freight railroad tracks in the part of Monroe, Middlesex County, between Jamesburg and Helmetta. HOW THESE NOR’EASTERS LIVE ON: We may not realize it, but we will see remnants of Wednesday’s nor’easter for years to come in fallen or bent trees, because of the high wind and the heavy, wet spring snow. 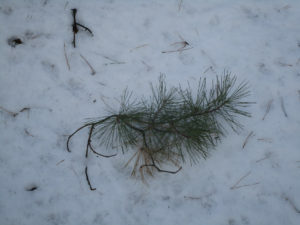 A branch of a pitch pine, “Pinus rigida,” that fell because of the March 7 nor’easter in an East Brunswick section of the Middlesex County Department of Parks and Recreation-operated Jamesburg Park Conservation Area. This is part of my beloved Pine Barrens around Helmetta. The heavy, wet spring snow bent this American holly, “Ilex opaca,” in my backyard in Monroe, Middlesex County. 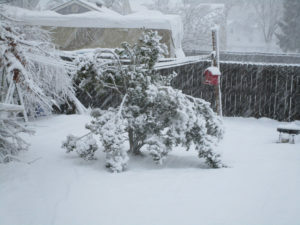 In heavy snows, I knock the snow off trees and shrubs in my yard. This swamp hardwood tree, about 60 feet in length, fell recently in the Manalapan Brook floodplan in Monroe, Middlesex County. The root pan is about 10-feet-tall. This is in woods I walk and I note trees that are lying to the west are probably remnants of 2012’s Superstorm Sandy, whose winds blew west, rather than the normal wind coming out of the west. A male red-winged blackbird is beginning to show his yellow and red epaulet, a sign of the mating season. This one was in a common position, feeding on the ground below a birdfeeder — in this case in my backyard in Monroe, Middlesex County. 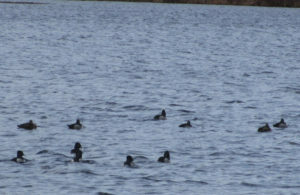 Ducks of the genus “Aythya” on Helmetta Pond. 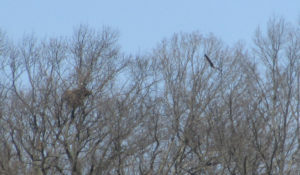 UPPER MILLSTONE RIVER EAGLES: Anne Price and I, the state Department of Environmental Protection volunteer monitors of this nest on the boundary of Middlesex and Mercer counties, believe the bald eagles, “Haliaeetus leucocephalus,” have a newly born chick or chicks in the nest. As breeders in New Jersey, bald eagles are “endangered,” or under immediate peril. For now, we just keep on watching the nest. 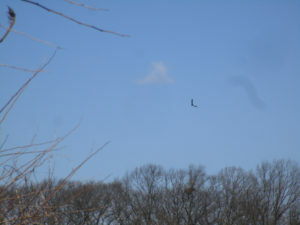 An adult bald eagle at the Upper Millstone River nest. USGS GAUGES: My family through my maternal side has lived along Manalapan Brook in Helmetta or Monroe, Middlesex County, since 1900 or so. I was born, grew up, and am back living within 400 or so feet of the brook. So, I often use the brook’s United States Geological Survey stream flow gauge at Spotswood, Middlesex County, about 2 miles to the north as the crow flies, for research. For example, when the brook is running at about 50 cubic feet per second in Spotswood, I can no longer wade across the brook at my house — the velocity is too strong and maybe the brook is too high. And when the brook is running about 200 CFS in Spotswood, it is about to flow over its bank at my house. My added affinity to the Spotswood gauge is that it began operating in 1957, January, or two months after I was born — giving me almost a perfect record of brook flows of my lifetime. This week, I stumbled upon the USGS gauge on the Delaware and Raritan Canal at Kingston on the boundary of Middlesex, Mercer, and Somerset counties. See https://waterdata.usgs.gov/nj/nwis/uv/?site_no=01460500&PARAmeter_cd=00065,00060,62614 for the Kingston gauge. See https://waterdata.usgs.gov/nj/nwis/current/?type=flow for the stream flow gauges in New Jersey. 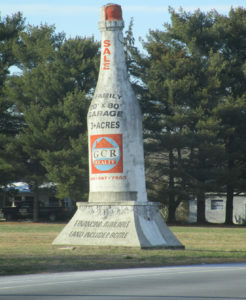 There are more than 50 gauges in the Jersey Midlands. 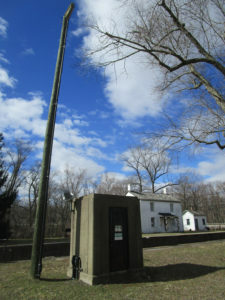 The United States Geological Survey stream flow gauge at Kingston on the boundary of Middlesex, Mercer, and Somerset counties. Signs on the USGS stream flow gauge at Kingston. 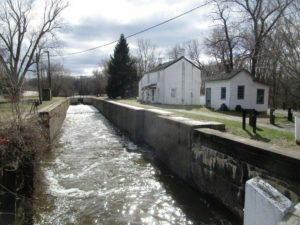 A lock of the Delaware and Raritan Canal at Kingston. The USGS gauge sits in the background, along the canal’s left bank. 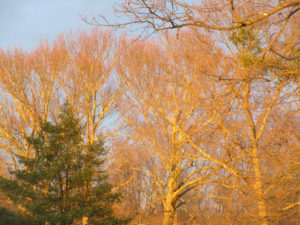 CATCHING THE RIGHT LIGHT: On two days this week, I happened to catch views of soft sunlight on trees at dusk. And both times I captured it with my camera. This shot is across the street from my house in Monroe, Middlesex County. Another shot from across the street from my house. 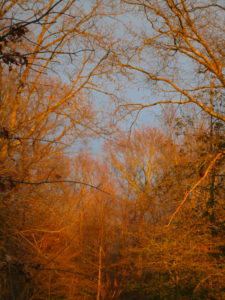 Another bit of golden sunlight at Monmouth Junction, Middlesex County. 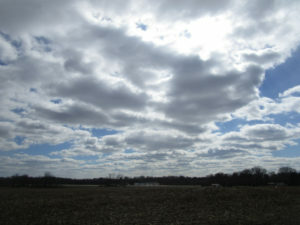 SKY VIEWS: This week’s sky views were captured in East Brunswick, Helmetta, Monmouth Junction, and Monroe, Middlesex County, along with the Kingston area on the boundary of Middlesex, Mercer, and Somerset counties. 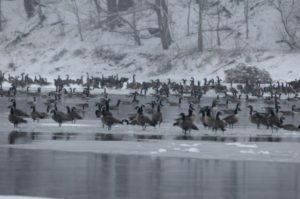 This photograph was taken at Thompson Park in Monroe, Middlesex County. Helmetta Pond in the Pine Barrens around Helmetta, Middlesex County. 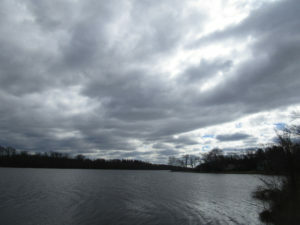 Carnegie Lake, formed by the damming of the Millstone River — this portion of the lake is on the boundary of Princeton, Mercer County; Plainsboro and South Brunswick, Middlesex County; and Franklin, Somerset County. 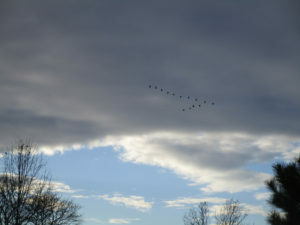 From my backyard in Monroe, Middlesex County, I captured this photograph of Canada geese, “Branta canadensis,” flying by. CHRONICLING GARDEN AND AFIELD: Based on some things I have heard in recent days or months, I think people assume I spend a lot of time outdoors, finding what I write about. Actually, I do not spend enough time outdoors, either roaming the woods or in the yard! Whether I work 60 hours a week or am not working, I tend to chronicle the same way. That is, I do not pass up opportunities when I see them. I constantly have the camera with me and always have pen, pencil, and notebook with me. For example, this week’s report includes results of me having brunch in Hightstown, Mercer County; going to a doctor’s appointment in Plainsboro, Middlesex County; and dealing with the nor’easter in my neighborhood in Monroe, Middlesex County. My point, do not miss out on the outdoors world around us. It is there! Stay aware. 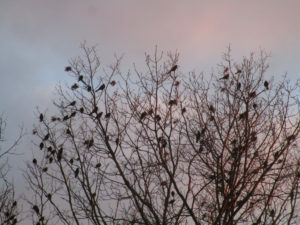 DRIVE-BY NATURALIST, STARLINGS: As I was driving through Monmouth Junction, Middlesex County, I came across a murmuration of starlings, “Sturnus vulgaris,” landing in trees. They are well-known for their flocks, or “murmurations.” “For much of the year, they wheel through the sky and mob lawns in big, noisy flocks,” according to Cornell University’s All About Birds website. 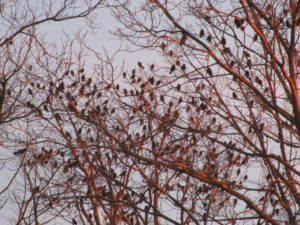 A starling murmuration in Monmouth Junction, Middlesex County. STARLINGS, NO. 2: From reading “Garden and Afield,” you may have correctly deduced I hate non-native species, especially highly invasive ones. Not only do I find starlings, ” Sturnus vulgaris,” oily- and ugly-looking, they are non-native invasives. According to Cornell University’s All About Birds website, “All the European Starlings in North America descended from 100 birds set loose in New York’s Central Park in the early 1890s. The birds were intentionally released by a group who wanted America to have all the birds that (William) Shakespeare ever mentioned (in his writing). It took several tries, but eventually the population took off. Today, more than 200 million European Starlings range from Alaska to Mexico, and many people consider them pests.” The first thing we do, let us kill the starlings! DAYLIGHT SAVINGS TIME: Daylight Savings Time begins Sunday, March 11, at 2 a.m. Spring forward with spring, so set the clocks one hour forward. 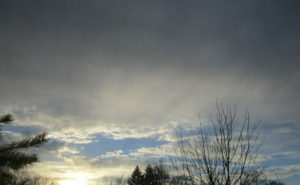 SUNRISE/SUNSET: DAYLIGHT SAVINGS TIME BEGAN SUNDAY, MARCH 11, AT 2 A.M.; SET THE CLOCKS ONE HOUR FORWARD. From Sunday, March 11, to Saturday, March 17, St. Patrick’s Day, the sun will rise about 7:15 to 7:05 a.m. and set about 7:00 to 7:05 p.m. From Sunday, March 18, to Saturday, March 24, the sun will rise about 7:05 to 6:55 a.m. and set about 7:10 to 7:15 p.m.
FULL MOON: The next full moon is March 31. The March 4 moon, as seen through my living room window, waning from the March 1 full moon. 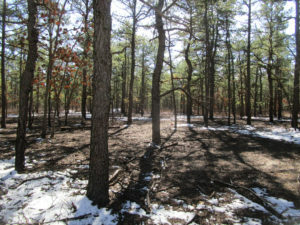 SPRING WILDFIRE SEASON: The Pine Barrens spring wildfire season generall runs from March 15 to May 15, when winds blow, humidity decreases, temperatures rise, and sun penetrates the essentially leafless forest, warming and drying the duff. April 9 to 15, Monday to Sunday, Mercer County: The annual Princeton Environmental Film Festival. Stand by for the specific schedule. This is a great event — not only showing environmental films, but some that are rather obscure. I try to go every year. ME BAD OR ME GOOD? I blew off the Saturday, March 10, 29th Annual Pinelands Short Course to finish this week’s “Garden and Afield.” So, I wasted $50 and lost some knowledge. But as musician-singer-songwriter-friend Frank Pinto has noted, It is better to perform than to watch someone else perform. I am torn. In my early journalism days, I thought it was more important to write than read. Now, in my 40th year of journalism and my often tired state, I wonder…. 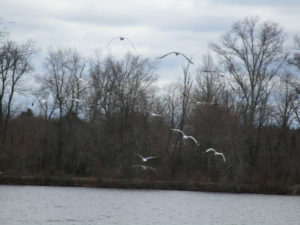 Gulls at Lake Carnegie on the boundary of Mercer, Middlesex, and Somerset counties. 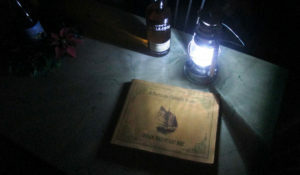 Photographic art, “The Approaching Nor’easter,” using a battery-powered lantern; a bottle of an old Jersey Midlands recipe, Laird’s Applejack; “Down Barnegat Bay, a Nor’easter Midnight Reader” by Robert Jahn; and my enamel-top kitchen table. rather calmly at my house. NOR’EASTER: The nor’easter moved through from the Thursday-Friday, March 1-2, overnight through Saturday, March 3. It snowed, sleeted and rained. There was some minor and moderate flooding, along with power losses. 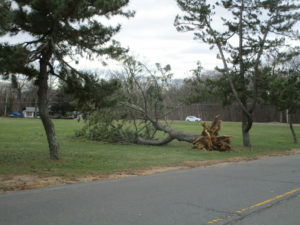 Perhaps the only uniform part of the storm through the Jersey Midlands was high wind. Otherwise, the storm affected areas differently. My travels took me from my home in Monroe, Middlesex County, to the Jersey Shore at Belmar-to-Sea Girt in Monmouth County, on to Prospertown Lake in Ocean County, and back home. During those travels and at home, I witnessed snow, sleet, and high winds, but really nothing of major concern. My home had no power loss. Again, though, the nor’easter impacted the Midlands in different ways…. 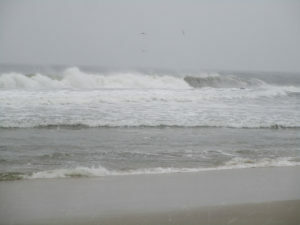 The nor’easter surf of the Atlantic Ocean at Spring Lake, Monmouth County. 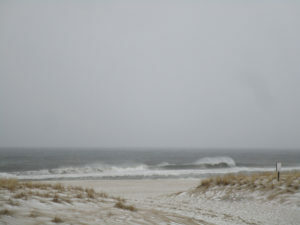 The Atlantic Ocean beach at Sea Girt, Monmouth County, during the nor’easter. NOR’EASTER SNOW: On Friday, March 2, the nor’easter brought a coating of snow, as measured at my house in the part of Monroe between Jamesburg and Helmetta, Middlesex County. This brings the season total to about 22 inches. The season’s normal snowfall is about 26 inches, as measured at New Brunswick about 7.5 miles away. With about 9 weeks of probable snow weather, we have a good chance to reach the season average. Burlington County: .2 in the Burlington area to 1.5 inches in the Medford area. Hunterdon County: .5 at Readington to 4.5 at Byram. Mercer County: .1 in Hamilton to .5 in the Hopewell area. Middlesex County: .5 in the South Brunswick area. Monmouth County: .4 in the Long Branch area to 3.3 in the Clarksburg area. Ocean County: .2 in the Brick area to 2 in the Berkeley area. Somerset County: .3 in the Franklin area to 4.0 in the Peapack-Gladstone. In next-door Bucks County, Pennsylvania: .7 in the Langhorne area to 6.1 in the Perkasie area. Other totals beyond the Jersey Midlands: Morris County, Green Pond, 11.8; Sussex County, Branchville, 16.5; and Monroe County, Pennsylvania, Coolbaugh, 23.6. 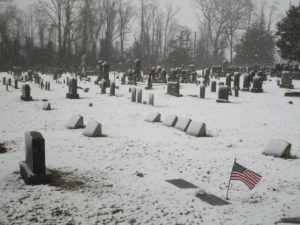 Nor’easter snowfall at Ye Olde Yellow Meeting House cemetery in Upper Freehold, Monmouth County. 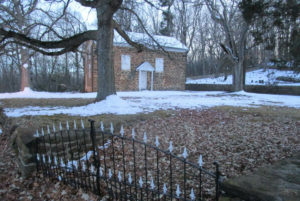 More information on historic Ye Olde Yellow Meeting House, http://www.oymh.org. Burlington County: 51 miles per hour at McGuire Air Force Base. Hunterdon County: 71 MPH at Lebanon. Mercer County: 54 MPH at Trenton-Mercer County Airport, Ewing. Middlesex County: 55 MPH at Perth Amboy. Monmouth County: 54 MPH at Keyport. Ocean County: 62 MPH at Harvey Cedars on Long Beach Island. Somerset County: 49 MPH at Somerset Airport, Bedminster. Bucks County, Pennsylvania: 51 MPH at Perkasie. Other totals outside the Jersey Midlands: Brandywine Shoal on Delaware Bay, 74 MPH (the minimum speed required for a hurricane), and at the Cape May Buoy, 68 MPH. 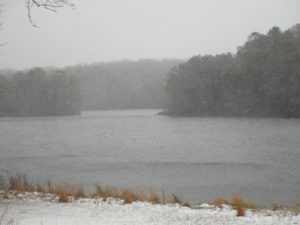 Blowing snow during the nor’easter at Prospertown Lake in Jackson, Ocean County. USE OF ‘NOR’EASTER’: Early on in my reporting days at the Asbury Park Press, I refused to use the term “nor’easter,” finding it to be a bit pretentious to define the powerful type of storm with winds out of the northeast. Instead I would write about a “northeastern” storm. I mean, I am not a sea captain or something. As time went on, I succumbed. I mean, people do know the term “nor’easter.” But I found something this week that has got me thinking to go back to the old way — the passion of Tom Halsted. Halsted wrote, “That gimcrack word ‘nor’easter’ is a made up, fake, pseudo-Yankee neologism that came from the same plastic cracker barrel as ‘ye olde Tea Shoppe.’ It should be shunned as silly and pretentious.” Thoughts? 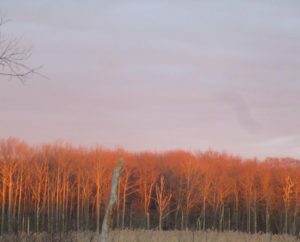 SIGNS OF SPRING: I am hearing birds calling — not in full swing, but calling nonetheless. Garden flowers are blooming. Herptiles are moving around. 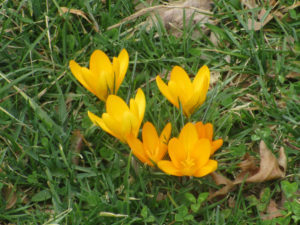 Blooming crocuses at Heritage Park in Cranbury, Middlesex County. 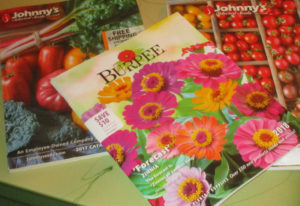 MORE SPRING, THINKING ABOUT THE GARDEN: I have been thinking about the early spring vegetable garden and looking at the seed catalogs. Still deciding which varieties of beet, carrot, lettuce, pea, and spinach to plant. A NEW TICK: The Asian longhorned tick, “Haemaphysalis longicornis,” has been been found for the first time living in the United States in November — specifically, according to the Philadelphia Inquirer and Philadelphia Daily News, on an Icelandic sheep in Hunterdon County. Previously, the tick has been found in the United States only on animals at ports of entry. The tick is a threat to livestock, but there is no known threat to humans. More information is available at https://sebsnjaesnews.rutgers.edu/2017/11/rutgers-center-for-vector-biology-helps-in-identification-of-east-asian-tick-species-on-hunterdon-county-farm/. A cardinal, “Cardinalis cardinalis,” in my sideyard in Monroe, Middlesex County, during Friday’s nor’easter weather. It is easily identifiable as a male because of its bright color. CHIGGERS ALREADY? : I think of the bite and resulting crazy itch of chiggers, genus “Trombicula,” as a late summer or fall nuisance. But this week I noticed a number of itchy red spots around my left ankle, a place one would find chigger bites. Could it be? 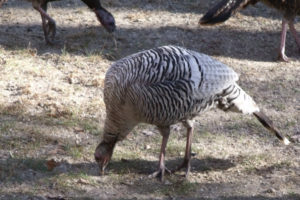 VOICES FROM AFIELD, JOAN GETAZ ZUMOFF ON THE ‘SMOKEY GRAY’ TURKEY: Joan Getaz Zumoff checked in from just below the Jersey Midlands in Gloucester Township, Camden County. In recent months, a wild turkey, “Meleagris gallopavo,” of thhe “smokey gray” phase has been hanging out around her yard. It is a less common coloring than the darker colors normally found on turkeys. A nice find! DELAWARE WATER GAP: The Delaware Water Gap is a bit north of the Jersey Midlands, but it is a well known, beautiful outdoors area on the boundary of New Jersey and Pennsylvania. Now, the New Jersey Department of Transportation wants to protect Interstate 80 from falling boulders by putting in a fence and wall. Is it really necessary for safety? Is it too big a tradeoff, ruining the beauty of the area? 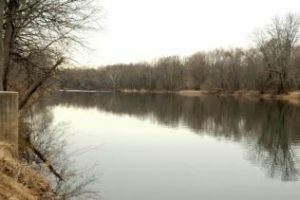 See these various stories: http://www.nj.com/news/index.ssf/2018/02/mayors_fight_fencing-in_of_delaware_water_gap_di_i.html; http://www.njherald.com/20180228/opposition-grows-to-plans-for-i-80-fence-in-knowlton#//; and http://www.lehighvalleylive.com/warren-county/index.ssf/2018/02/jurassic_park_fence_delaware_w.html. 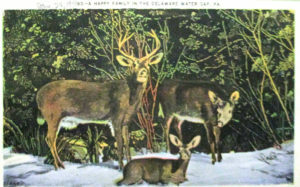 A circa 1940 Delaware Water Gap postcard. 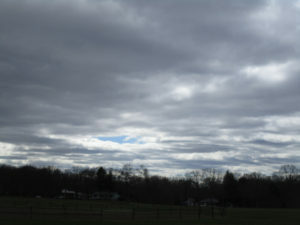 SKY VIEWS: The week’s sky view was from my backyard in Monroe, Middlesex County. The view from my backyard in Monroe, Middlesex County. ATLANTIC OCEAN TEMPERATURES: The Atlantic Ocean temperature along the New Jersey coast was running at about 41 to 42 degrees on the March 3-4 weekend. SUNRISE/SUNSET: From Sunday, March 4, to Saturday, March 10, the sun will rise about 6:25 to 6:15 a.m. and set about 5:55 to 6 p.m. DAYLIGHT SAVINGS TIME BEGINS SUNDAY, MARCH 11, AT 2 A.M.; SET THE CLOCKS ONE HOUR FORWARD. 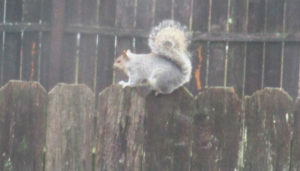 From Sunday, March 11, to Saturday, March 17, St. Patrick’s Day, the sun will rise about 7:15 to 7:05 a.m. and set about 7:00 to 7:05 p.m.
A gray squirrel, “Sciurus carolinensis,” in my backyard in Monroe, Middlesex County.